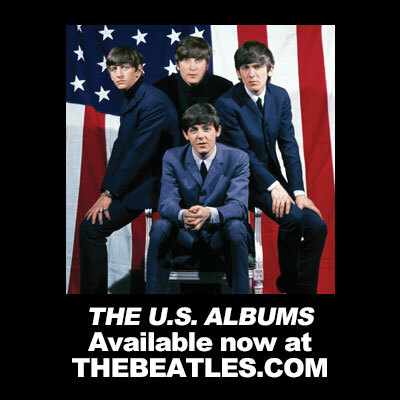 On February 9, 1964, the landscape of American music—of American culture—changed forever. That evening, four young men from the English port city of Liverpool appeared on the popular Ed Sullivan Show—and introduced an estimated 73 million Americans to the tight, energetic, guitar-driven rock and roll that had already set England afire in the preceding year. 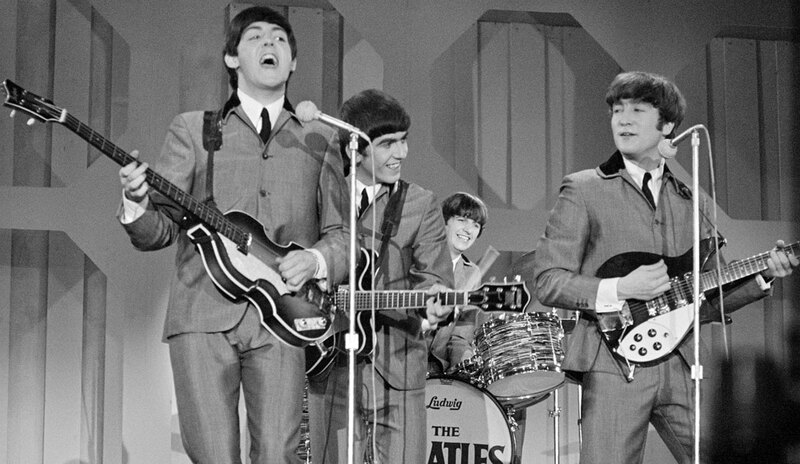 Overnight, The Beatles became the hottest musical act in America since Elvis Presley. The Beatles were hardly an overnight success in their own country. Their rise from teenage skiffle band to national phenomenon took six years and countless hours of rehearsal and gigging—including their rock and roll boot camp in Hamburg, Germany. But by early 1963, with the release of their second single, “Please Please Me,” the mass hysteria appropriately coined “Beatlemania” had begun to consume Britain. As the year wore on, the group grew more and more popular, topping the charts with three singles and two albums. Sullivan first experienced Beatlemania up close when he was traveling through the U.K. in late October 1963, and happened to be at London’s Heathrow Airport as The Beatles were returning from a Stockholm television appearance. He likened the frenzy to that surrounding Presley in the previous decade. Sullivan quickly booked the band for three consecutive appearances to take place in February (the first two live and the third prerecorded). Meanwhile, the band started getting decent airplay in the States by late December. By January, they had the number one song in America with the joyous “I Want to Hold Your Hand.” Excitement in America was just cresting when the Sullivan appearance was announced. When The Beatles arrived at New York’s John F. Kennedy Airport on February 7, they were greeted by thousands of screaming fans. Beatlemania, it seemed, had crossed the Atlantic with them. The night of the Sullivan Show, seemingly every young set of eyeballs in the country was glued to the TV, as John, Paul, George and Ringo plowed through an unstoppable array of sonic haymakers like “All My Loving,” “She Loves You” and “I Want to Hold Your Hand”—with a sizeable percentage of them furrowing their brows to an undeniable thought: “I want to do that!” The impact was immediate. Almost overnight, America was overrun with young guitar bands. Some of these young acolytes would go on to one day establish Hall of Fame-caliber acts like Aerosmith, Bruce Springsteen and the E Street Band, and Tom Petty and the Heartbreakers. It wasn’t only new musicians who were influenced. Professional musicians, like members of The Byrds, also saw the writing on the wall and changed their creative course to better align with the British sound. In a year, even Bob Dylan went electric. Further repercussions were felt by the teen idols, who had previously owned the charts. Out went well-coifed vocalists like Fabian and Pat Boone and in swooped electric bands like The McCoys and The Rascals. The Beatles’ influence carried over to their gear, including their famed VOX amplifiers. Over the next few years, Beatles guitarists John Lennon and George Harrison would bring the now-classic sound of the AC15, AC30, AC80 and, eventually, the AC100 to EMI’s Abbey Road recording studio in London and stages around the world. Paul McCartney adopted the VOX T-60 to blast low-end lines from his Hofner 500/1 “Violin” bass. Rickenbacker 4001S-LN to beef up his bass sound. Of course, the group had already popularized Rickenbacker guitars, with Lennon sporting a 325 Capri on the Sullivan Show. Harrison was presented with only the second 12-string Rickenbacker ever made. The jangle of his 360/12 perked up the musical ears of eager imitators on both sides of the Atlantic. Harrison was also fond of Gretsch guitars, playing both the Duo Jet and the Chet Atkins Country Gentleman. Early on, The Beatles favored Gibson and Epiphone acoustics, including Lennon and Harrison’s Gibson J-160Es and McCartney’s famous “Yesterday” guitar, the Epiphone FT-79 Texan. As the decade wore on, The Beatles broadened their sound with other guitars, including the Epiphone Casino, the Gibson SG, the Fender Stratocaster and the Martin D-28. Almost without fail, if The Beatles played an instrument publicly, other musicians would flock to stores to buy their own. The Beatles inspired musicians in other ways, as well. One major difference between The Beatles and many of the artists who preceded them is that they wrote their own music. Inspired by one of their own heroes, the late Buddy Holly, Lennon and McCartney very early on taught themselves the craft of songwriting. 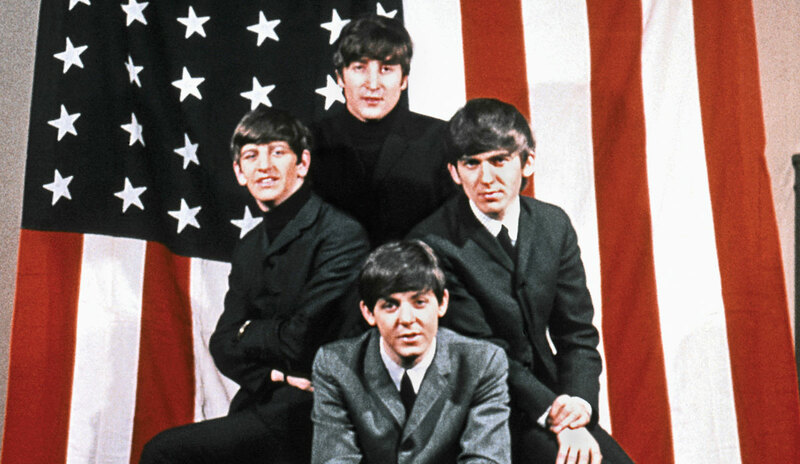 By the time their first album, Please Please Me, was released in 1963, the group had already composed what would later be considered some of the greatest rock and roll songs of all time, including the title song, the group’s first English single, “Love Me Do,” and the rollicking “I Saw Her Standing There.” Subsequently, rock and roll groups moved away from relying on outside songwriters in the Leiber/Stoller mold. Songwriting bands and artists were empowered to seek their own musical vision and create their own sound—a movement that obliterated existing creative boundaries and pushed popular music in bold, unforeseen directions. In the months that followed The Beatles’ Sullivan debut, other British invaders introduced themselves to the former colonies. 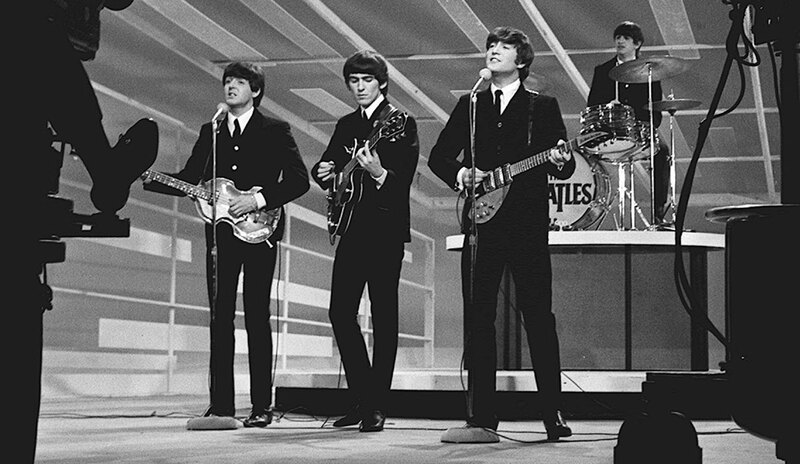 The Ed Sullivan Show alone, in 1964, hosted The Dave Clark Five, The Searchers, Gerry and the Pacemakers, Dusty Springfield, Billy J. Kramer and the Dakotas, The Animals, Peter and Gordon, and a little London-based outfit called The Rolling Stones. Hot on their trails would come The Who, The Yardbirds, Them (featuring Van Morrison), The Kinks, Manfred Mann, The Hollies, The Zombies and others. For the next several years, the Billboard charts were dominated by British acts, though none could match The Beatles in terms of chart success or influence. Bit by bit, this deluge of acts combined with inspired new American groups to create a more mature form of the musical genre that had been tagged “rock and roll” since the mid-’50s—its evolved form now referred to as simply “rock.” As the decade of the ’60s wore on, the music of The Beatles, the Stones, The Who, The Kinks and many of the other British Invasion acts became more sophisticated, both lyrically and musically. Alongside them arose other richly talented artists from both sides of the Atlantic, including Pink Floyd, The Doors, Led Zeppelin, the Jimi Hendrix Experience, Black Sabbath, Yes and countless others. By the time The Beatles parted ways at the end of the decade, rock music had developed into a mature, complex and sometimes even challenging art form. It could no longer be brushed off as mere kids’ stuff. Every decade that has followed that fateful Sunday evening has continued to reverberate with the influence of The Beatles. The list of bands and artists who have sailed in their wake is endless, from Cheap Trick, Nirvana and Green Day to Maroon 5, Danger Mouse and Pharrell Williams. Fifty years later, their music remains just as vibrant—and relevant—as ever. Rock music has blossomed into a myriad of sub-genres ranging from alt-rock to hip-hop to EDM—all of it indebted in at least some small way to those four lads from Liverpool.